The KFC CHAMPS Team Challenge is an annual retail training program, which also recognises outstanding employees of the company. Various tasks were presented to the teams, involving customer service, food quality, packing products, cleaning, and house set up. Over 600 teams across the country articipated in this event. Teams were assesed by Tony Lowings, CEO of KFC Australia. It was also attended by Senator Eric Abetz, Shadow Minister for Employment and Workplace Relations, who presented the winning team with the National Winners award. 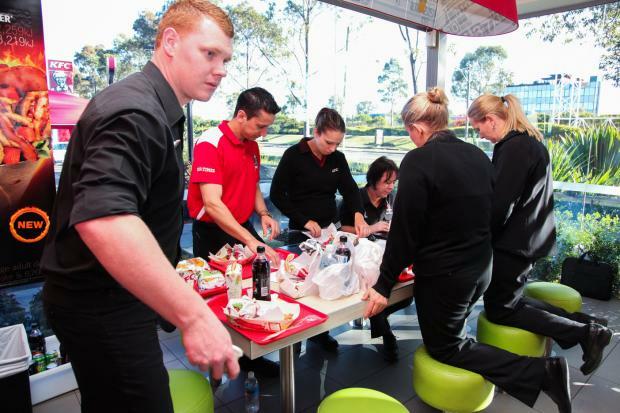 In the end, the KFC West Gosford team won the top prize and were hailed as this year's CHAMPS Team Challenge Champions.